We all have people on our gift list who already have everything. As someone who really tries to buy with thought and care, that can make things difficult. This year I’ve put together a collection of out-of-the-box gift ideas for those hard to buy for people on your list. Please note, items marked with an asterisk* are being sold by a company with which I have an affiliate relationship. I will earn a small commission if you purchase through these links. Time Turner*: For the true Harry Potter fan. 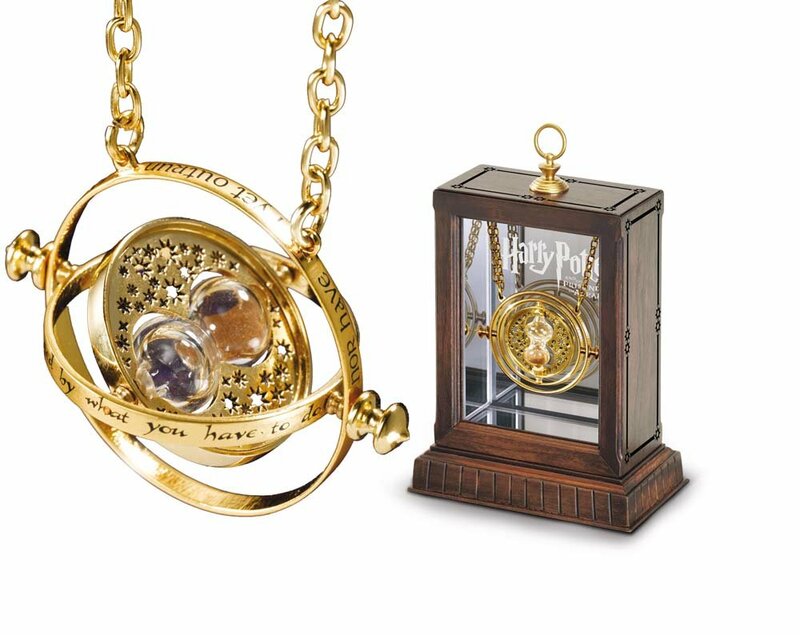 An authentic recreation of Hermione’s Time Turner as featured in the movie Harry Potter and the Prisoner of Azkaban . The Time Turner is centered with a working miniature hourglass and its inner rings rotate. Turntable*: Convert your vinyl collection directly to MP3 format without a computer with this direct MP3 encoding system from the turntable to a USB flash drive or SD/MMC card. 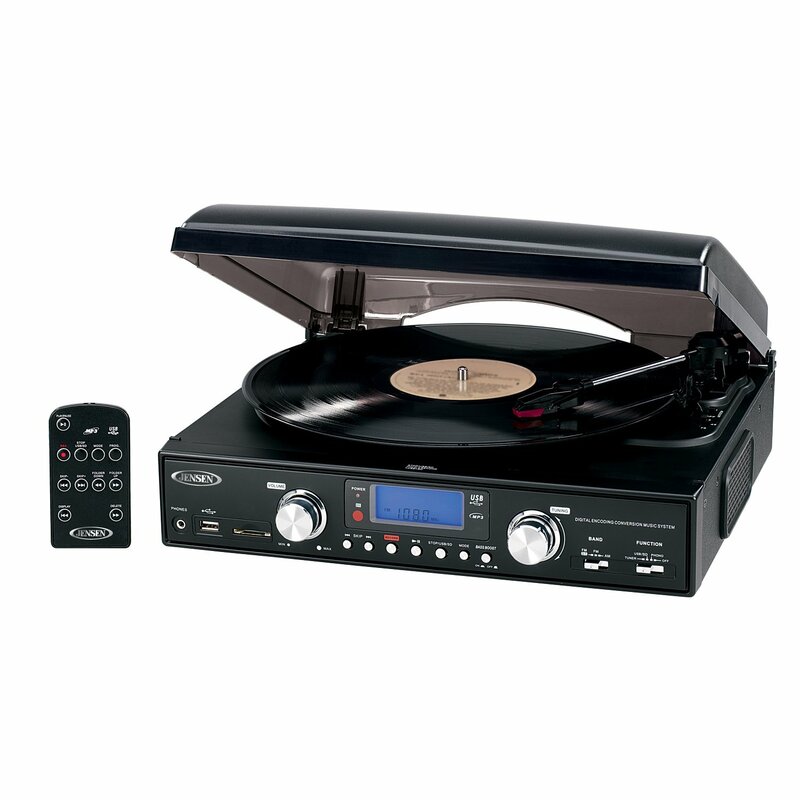 This unit contains a belt driven 3-speed stereo turntable (33/45/78 RPM) and an AM/FM stereo receiver with digital frequency display. It works as a stand alone music system or connects to your home stereo system. Chameleon Steering Wheel Cover*. I recently bought one of these because I am allergic to my steering wheel (of all things!) and it’s so fun I had to include it. 3D Printing Pen*. Artists can download blueprints of a 6″-tall Eiffel Tower, a napkin holder, or even Istanbul’s Sultan Ahmed Mosque, trace the designs and mend them together with the 3D pen, creating hand-drawn three-dimensional objects. 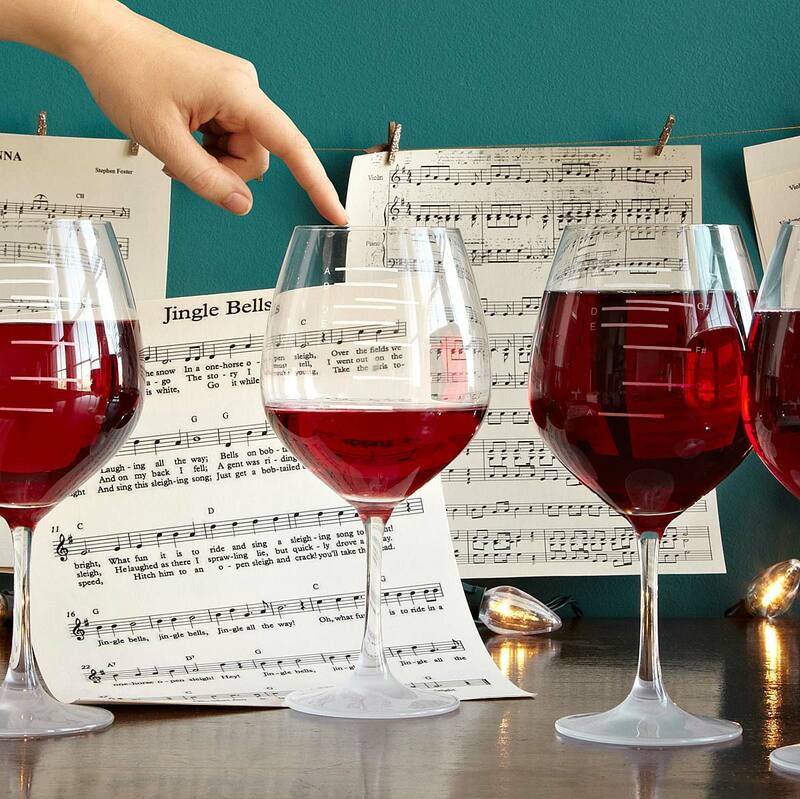 Musical Wine Glasses*. Turn the sophisticated pleasures of wine drinking into an experience that’s musical, memorable, and above all, fun. Just fill our goblet to the desired note, and run your moistened finger around the rim of the glass. Soon, like a bow on the strings of a violin, your finger will cause the glass to vibrate, and a crystal-clear note will sound. 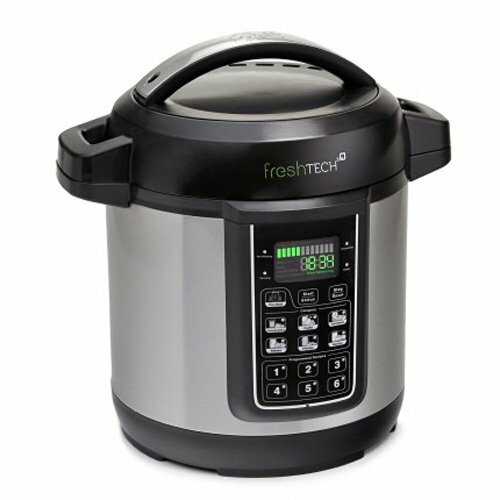 Automatic Home Canning System*: Featuring SmartPreserve technology, the auto canner precisely controls the exact time and temperature required to safely preserve most canning recipes without any additional input from the user. Ball’s most popular canning recipes come pre-programmed for perfect results every time. 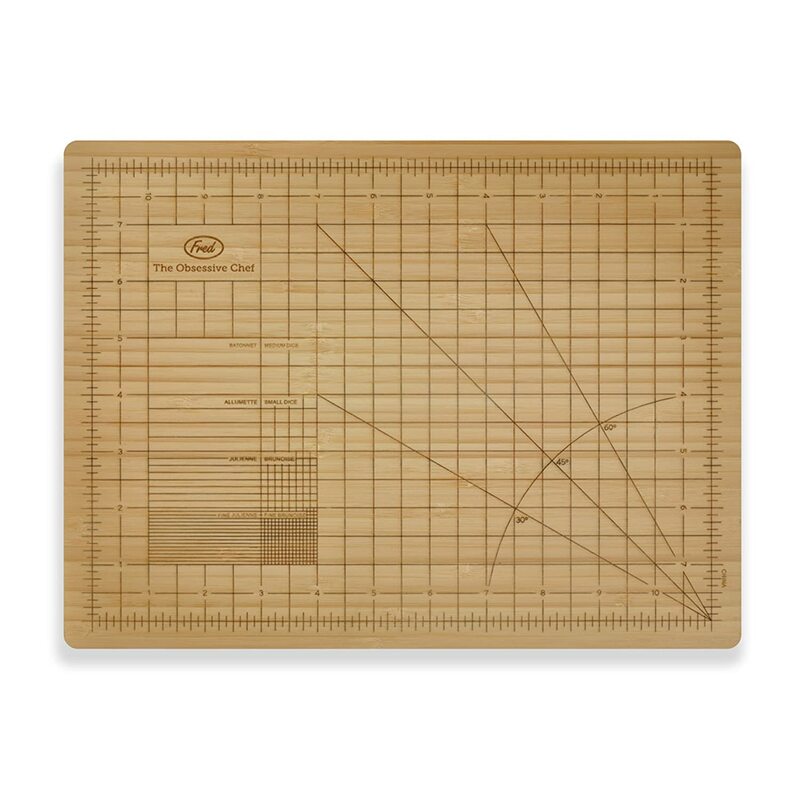 OCD Chef Cutting Board*: Finally, a cutting board that is as exacting in its standards as you are. A multitude of guide lines a different grid sizes and angles ensure your cuts are precise. Lines are burnished in rather than printed, so they won’t wear off. This board features guides for medium dice, small dice, brunoise, fine brunoise, batonnet, allumette, julienne, and fine julienne. 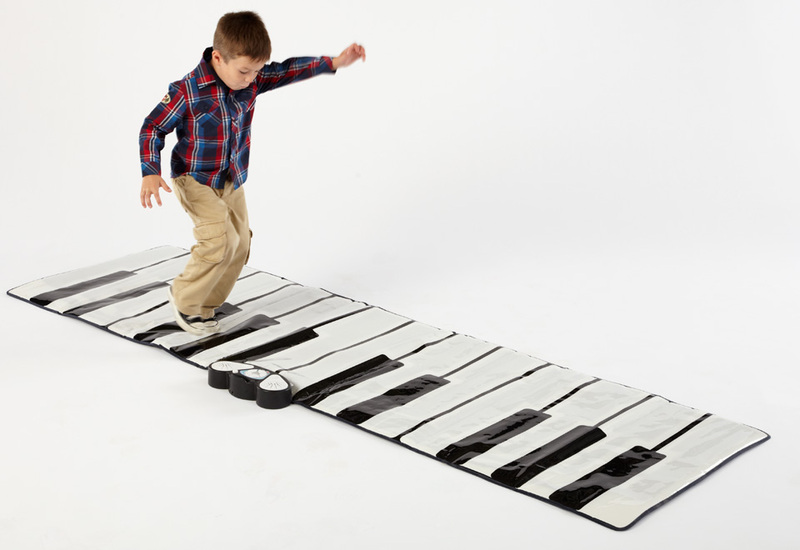 Big Keyboard: Everyone from little kids to BIG grownups will hanker for a turn on the Giant Piano Mat. This soft keyboard features 25 large, touch-sensitive keys so you can literally tap out a melody. Or, find a partner and perform a duet. 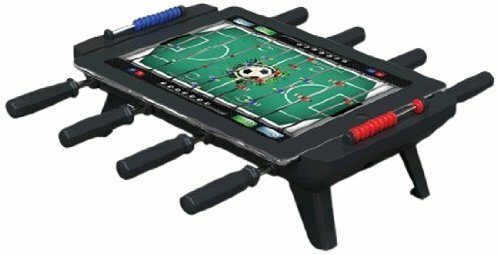 iPad Foosball Table*: New Potato Technologies has introduced a new version of Classic Match Foosball for iPad. It is now Bluetooth Smart, compatible with iPad 3rd gen, 4th gen and the new iPad Air. This complements the original 30 pin model, which works with iPad 1, 2 and 3. Featuring multiple languages including French, German, Italian, Greek and English with customized uniforms based on flags from over 40 different countries, now ALL iPad users can experience the thrill of realistic gameplay with Classic Match Foosball! Perfect Bake App Controlled Smart Baking*. Why do some cookies taste better? Because the baker used a good recipe and followed it exactly. That means baking by weight. With Perfect Bake, you can nix the measuring cups! Simply pick from hundreds of baker-tested recipes and follow real-time instructions for adding ingredients, mixing and baking. The virtual bowl fills up on screen as you add ingredients and even adjusts the recipe if you overpour. Onyx Wearable Walkie Talkies. For the Star Trek lovers in your life. These wearable walkie talkies work like the communicators worn by Kirk and Picard. Also great for non-Trekkies who want hands-free communication, like paint ball enthusiasts. They have unlimited range and unlimited channels so you can talk to people all over the world. CHiP. CHiP is a trainable robot dog that will even show you affection! He can play fetch with his smart ball, and will learn to recognize you and follow your commands. No 2 CHiPs will be alike because they will adjust to your household’s needs and expectations. Levitating speaker. Impress everyone with this portable bluetooth speaker. Stream from any of the major services for a full 8 hours before needing a recharge. Ellia Gather Diffuser. This diffuser is not only functional, it’s beautiful. 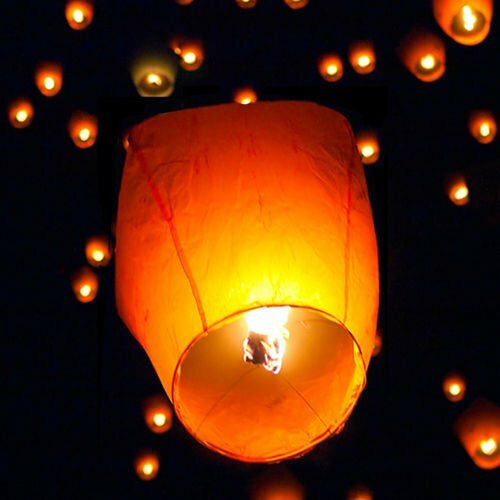 With color changing light, relaxing sounds, and a gentle aroma it’s almost hypnotizing. Handmade State Coasters. Get a set of 4 coasters custom made in the shape of any state. Great for people who’ve moved a lot, or have family spread around the country. 2 finishes available and you can get them with or without cupholes. Ryan Gosling Pillow Case. Do I need to say anything about this? It sells itself, am I right? Wine Wipes. For the wine enthusiast that doesn’t want their teeth to show it. Gently wipe red wine stains away, leaving a beautiful smile. Foodie Dice Seasonal Food Pouch. Have a foodie in your life who can never think of what to make for dinner? Try these handmade wooden dice to come up with something fun, creative, and seasonal. PetPeek Fence Window. Don’t forget the 4-legged friends! Dog lovers will adore this window that lets their pup see the rest of the world while staying safely contained in the yard. Menorasaurus Rex. For your coolest Jewish friends. Looking for more? Check out 101 Gifts Under $10.